The entire ground floor which was recently refurbished to a very high standard has been let in two suites of 1,330 sq ft and 3,720 sq ft to two renown UK companies. 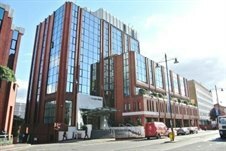 Cattaneo Commercial do have nearby office suites available To Let of 1,412 and 4,983 sq ft in Wimbledon town centre. For further information contact Andy Armiger on 0208 546 2166.